After training at Kneller Hall, Michael served with the Grenadier Guards as a trumpeter before studying piano at the Royal College of Music, where he gained his BMus and ARCM and won the Hilda Anderson Deane prize for conducting and improvisation. While completing postgraduate répétiteur studies he was appointed the first organ Scholar at the Royal Hospital Chelsea. 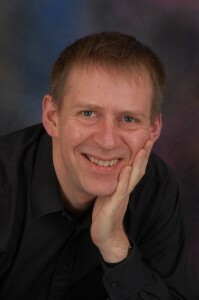 Since his debut as an organist at the Royal Festival Hall in 1988, Michael has been in demand as a recitalist and accompanist and has appeared all over the country and in Europe, with notable London appearances at St Martin-in-the-Fields, Westminster Abbey, Blackheath Concert Halls and the Wigmore Hall. Since 2003 he has simultaneously held the posts of Director of Music at St John’s Wood Church, organist at Belsize Square Synagogue and conductor of the Chiltern Choir. He has conducted the Watford Philharmonic Chorus, Goldsmiths Choral Union, City Chamber Choir, Aeolian Singers and English Chamber Choir and has broadcast on Radio 2, Radio 3, Radio 5 Live, the World Service and on BBC1’s Songs of Praise. His church music is published by Redemptorist, the responsorial psalms now a staple of parish churches up and down the country. With broad musical tastes, a hunger to learn new styles and a particular talent for improvisation, he may often be found performing jazz, German cabaret and Judeo-Spanish Ladino music as well as fusion and funk.